Mercedes CLS CLS 53 4Matic+ 4dr TCT 2019 Review | What Car? What Car? will save you at least £3,266, but our approved dealers could save you even more. 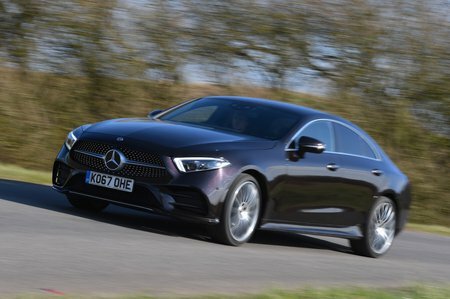 The AMG 53 also uses the same 3.0-litre straight-six engine with all that clever hybrid tech as the 450, but the wick's been turned up to 429bhp. That sees the 0-62mph time decrease to 4.5sec and supplies even more overtaking urgency but, to be honest, because the 450 is so strong and costs over £15k less, we think that's the pick of the petrols.